He stole an unknown amount of money, the Hillsborough County Sheriff’s Office said. HILLSBOROUGH COUNTY – Deputies are searching for a man who broke through the roof to burglarize a bakery, the Hillsborough County Sheriff’s Office said. 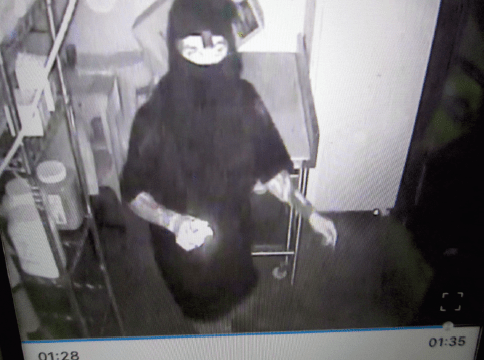 At about 3:17 a.m. July 21, a surveillance camera at Rico Pan Bakery, 8216 Causeway Blvd. 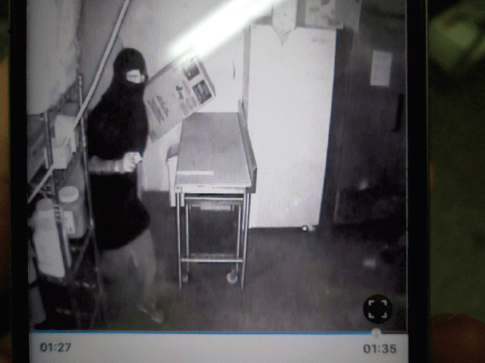 in Tampa, captured video of a man wearing a ski mask sliding through a ceiling tile and into the kitchen. The suspect bypassed the bread products and made his way to the front cash register, where he stole an unknown amount of money. He later fled the business through the rear door. The suspect is believed to be a white Hispanic male with tattoos on both of his forearms. He was last seen wearing dark jeans, sneakers, a black hoodie, a black ski mask and no gloves. Anyone with any information in reference to the suspect or his whereabouts is asked to call the Hillsborough County Sheriff’s Office at (813) 247-8200. To be eligible for a cash reward, call Crime Stoppers at 1-800-873-TIPS (8477), report anonymously online at crimestopperstb.com or send a mobile tip using the P3 Tips Mobile application, which is a free download for iPhones, iPads and Droids. You must call Crime Stoppers first to be eligible for a reward. He stole an unknown amount of money, the Hillsborough County Sheriff's Office said.